Available for a limited number of full weeks from February until the end of October, with changeovers on Mondays. Check-in is from 4pm and check-out is by 10am. Full balance must be paid at time of booking! Payments can be made over the phone by card or via bank transfer. Please specify number of people in party and ages at time of booking. 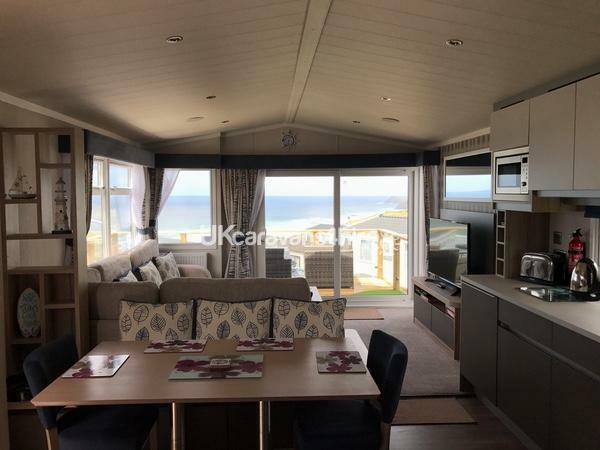 Top of the range, three bedroom sea view caravan. POSSIBLY THE BEST ON PARK! 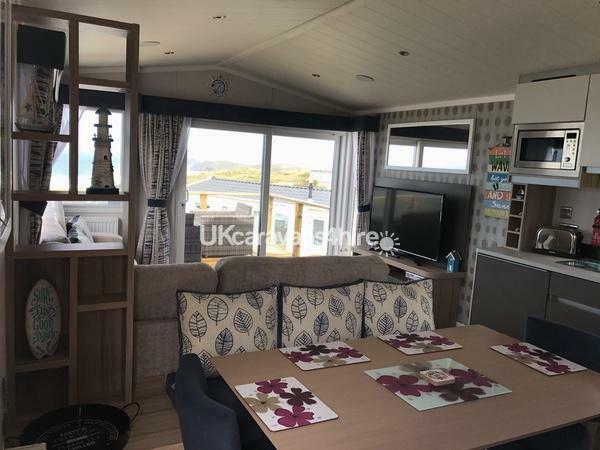 3 bedroom deluxe caravan, perfectly positioned on the dunes at the peaceful Chy-an-Mor location of Haven's Perran Sands Holiday Park in Perranporth. 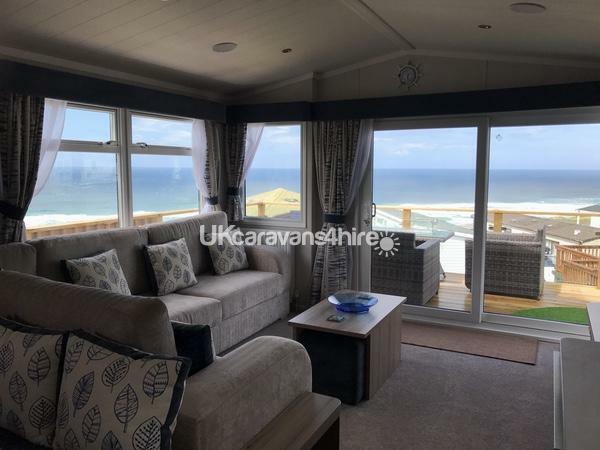 Our caravans due siting position has breathtaking views that overlook Perranporth's beautiful golden beach; wake up to the sound of the waves with lovely views, in complete comfort and style! It is also close to the center amenities, yet not too close to be disturbed. 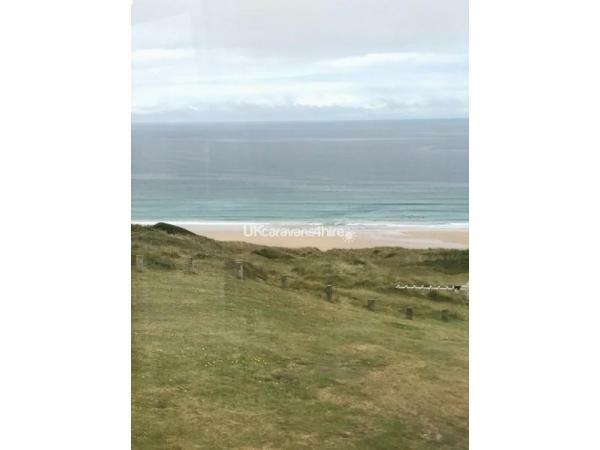 ~ 3 bedrooms: Master bedroom with en-suite bathroom with dressing table; 2 twin rooms each with 2 single beds. 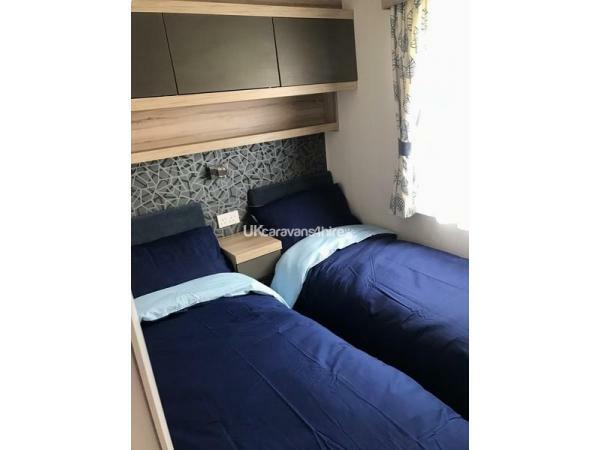 All rooms have wardrobes with ample storage space and all beds have new quilted mattresses with toppers, pillows and duvets, which are a are good quality to ensure a good night's sleep during your stay. 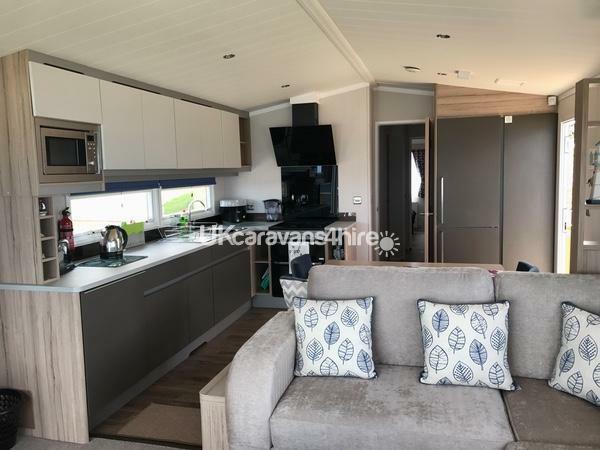 ~ Open plan kitchen, which is fitted with an integrated dishwasher, top of the range cooker with extractor, integrated microwave and integrated fridge freezer. Kitchen includes all the good quality pots, pans, crockery and simple cleaning necessities you will need for your stay such as kitchen cloths, tea towels, dishwashers tablets and a hoover. 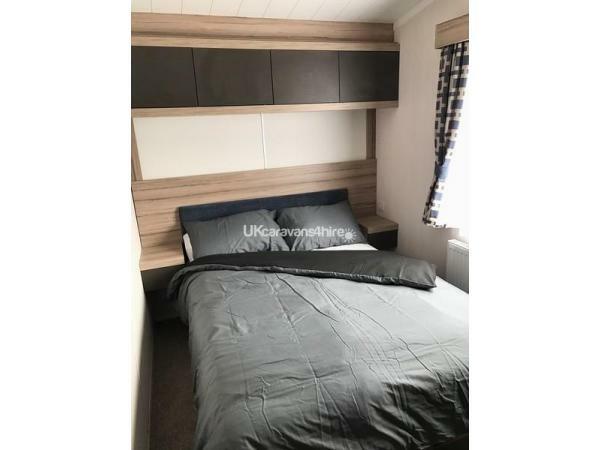 ~ Sitting room/Dining room, furnished to a high standard with sofa/double bed and cushions, flat screen wall-mounted 49" ultra HD Freeview TV with back lighting, PlayStation 3 and lots of games games, along with a dining table with chairs and cushions. ~ Family Shower room with toilet. ~ Integrated Bluetooth music system fitted throughout the caravan for your enjoyment during your stay. 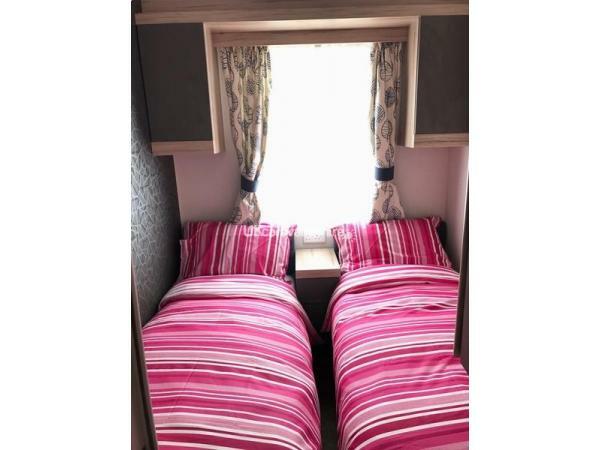 ~ Caravan is double glazed and has central heating with towel rail in shower room. 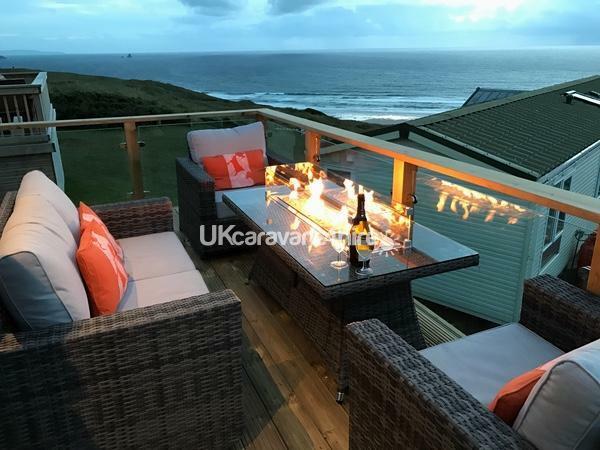 Patio sliding door from sitting room opens out onto the large size decking area, which has a lovely outdoor patio furniture set with built in glass surrounded fire pit for those cozy evenings plus BBQ. 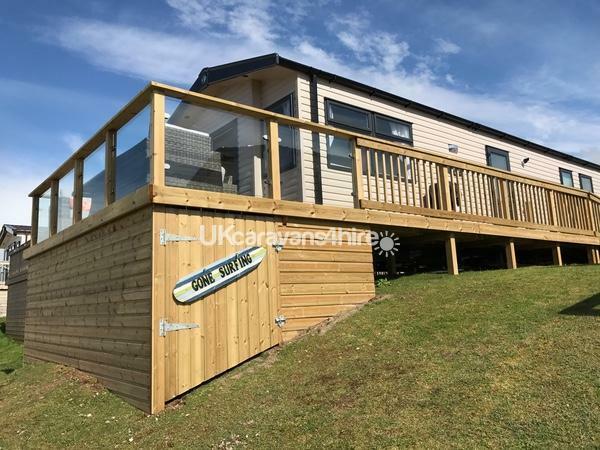 The decking surrounding the caravan is gated with a slope and there is a small green out the front so the caravan is perfect for families with children. 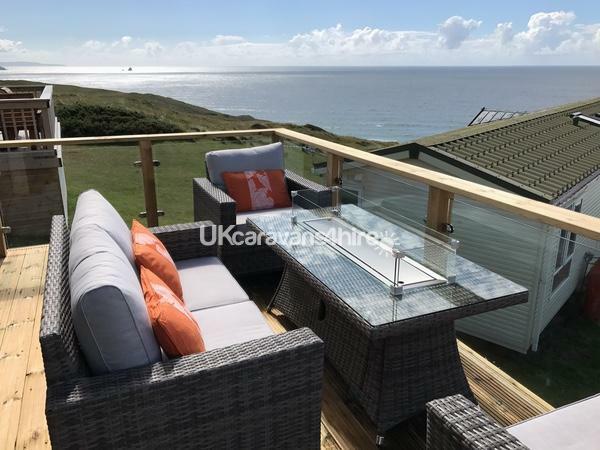 Due to the caravan position the sun shines on the decking all day long. 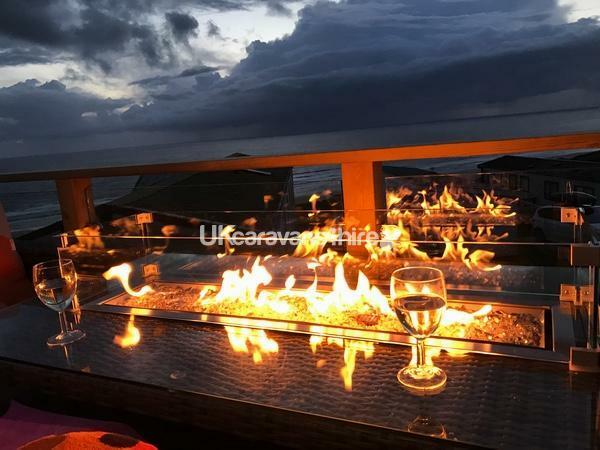 Fantastic van great views very well equipped worth that little bit extra!! Will definitely be back thanks for a great stay !